To get instant 50% Discount, use code – "NTPC50" and get this E-book just 49/- only. ***You will get PDF password through email after successfully payment so please enter correct Email ID or Mobile Number for payment. Note: In this GK Question PDF in Hindi for Railway NTPC we also provide 4000+ Questions Asked RRB ALP/Group D Exam 2018 both in Hindi & English Language. ******Please don&apos;t share this PDF and password to anyone. 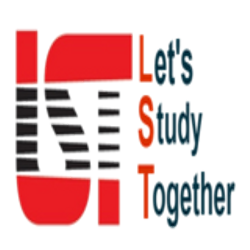 Dear Students this PDF Proprietary & Copyrighted Material of Let’s Study Together (LST). By printing this file I undertake that this file is for my personal use and any reproduction in any form, physical or electronic mode on public forum etc. will lead to infringement of Copyright of Let’s Study Together (LST) and will attract penal actions including FIR and claim of damages under Indian Copyright Act 1957.